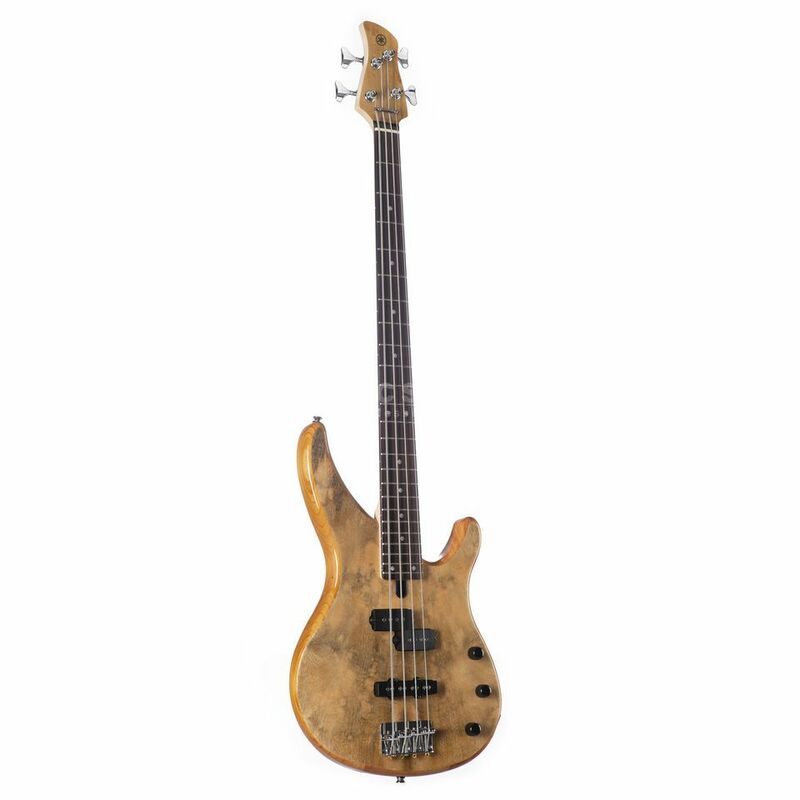 The Yamaha TRBX174 4-String Bass Guitar Natural is a 4-string electric bass, with an alder body, a mango top, 24 frets, and a translucent natural finish. The TRBX 174 is famous for its top made of exotic mango wood, which is a real eye-catcher because of the grain. Manufactured with a solid alder body the TRBX 174 EW has the typical, extremely ergonomic TRBX shaping, which allows a comfortable playability up to the highest positions of the bolted maple neck thanks to its generous cutaways. This guitar features a fingerboard of Sonokeling, which is equipped with 24 frets and dot inlays to label the layers. The classic pickup combination of a split coil at the neck and a single coil at the bridge provides a wide range of sounds with outstanding dynamics and a lot of pressure.